Big Oil is seemingly adjusting well to lower-for-longer oil prices, and the deep cost cuts every oil company—big or otherwise—had to make over the last two years have finally started to pay off. 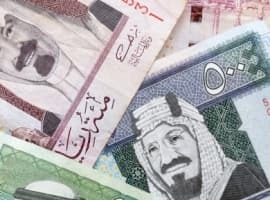 According to an estimate from Jefferies, the world’s top-five oil producers generated cash of $34 billion during the third quarter of the year, an annual increase for all of them. Four of the five—BP, Total, Exxon, and Chevron—also booked quarterly increases in their cash position. Shell was the only one whose third-quarter cash fell from the second quarter of the year. Higher oil prices certainly have something to do with that, but it’s not the only factor. Over the last couple of years, Big Oil has demonstrated more than once that it’s set on becoming more flexible, leaner, and more efficient. It has notably said goodbye to the “growth at all costs” approach, simply because it has seen it crash and burn during the price downturn. Now oil prices are even higher than in the third quarter, and they’re likely to remain higher at least until November 30, when OPEC meets in Vienna to—most likely—announce another extension of the oil production cut. That’s more good news for Big Oil, but there’s still another milestone to hit: cash dividends. The five must again start paying cash dividends and make new investments, even if oil falls to $40 or $30 a barrel, at least according to BP’s Bob Dudley. 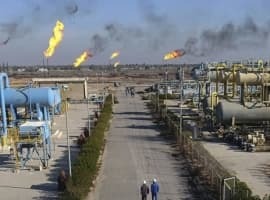 That’s quite an ambitious goal for the world’s largest oil producers, but it seems like a sensible one in light of changing patterns of energy demand and supply. Big Oil can no longer ignore renewable energy and electric vehicles, which is why it’s jumping on board with them and trying to stay competitive at the same time. Meanwhile, as investors wait for the return of full cash dividends, they’re increasingly focusing on breakeven levels. 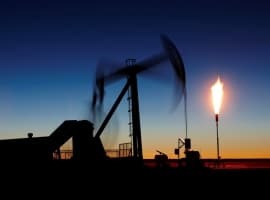 Wall Street Journal’s Sara Kent writes in a recent report that investors have developed a kind of obsession with the breakeven point per barrel. That’s despite the fact the breakeven level does not ensure the profitability of a barrel, nor does it ensure the ability of its producer to repay the debts it took out to produce the barrel, as some analysts have taken the time to remind us. The companies themselves are putting a lot of effort into lowering that breakeven level as much as they can. BP, for example, had a breakeven price for its oil of $47 per barrel for the first half of the year. The company has ambitions to lower this to $35-40 a barrel by 2021. Chevron said its breakeven price is $50 a barrel, but that includes revenues from asset sales. According to analysts whom Kent spoke to, the breakeven is receiving a lot of attention because of—surprise!—the low oil prices. When crude traded above $100 a barrel, nobody really cared about the breakeven level because it was so much lower than the market price. Now, things are very different, so breakeven is important. Things are looking good, however, at least for the Big Five. Although three of these—BP, Shell, and Total—are still applying so-called scrip programs and distributing part of their dividends in stock rather than in cash, they all have plans to return to full-cash payments in the medium term. How? With lower spending and still lower breakeven levels. Has Gulf Of Mexico Oil Production Plateaued? Secret to making more money is indeed to just stop spending it. But, if too many people do it, it leads to a shortage, then a price spike, then demand destruction, and the party ends for everyone just like it can with oversupply leading to a price crash.